Don't you hate it when you leave the house and all your animals party without you? These guys from CourtsArt are having WAY to much fun! Good thing she installed cameras! 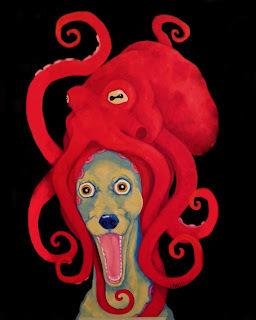 Head on over to CourtsArt now, to catch all the hound-n-tentacle action!